Caroline Brockmeier has developed into one of the country's top youth soccer players. The sophomore goalie at Chiles High was invited to a national select camp two years ago and actually plays club soccer in Chicago. Established collegiate programs have started to express interest. But a dream came true over the weekend when Brockmeier earned an invitation to the U15 Girls National Team Camp next month in Carson, Calif. Thirty position players and two to four goalies will be vying for spots on the final roster during the week-long camp. "It has been a goal of mine for a long time and I've always dreamed of doing it," said Brockmeier, who recently turned 15. "I've always worked hard, but I am going to work 10 times harder trying to get fit and ready and being the best I can when I get into camp." Brockmeier plans to rely on her experiences to help in her preparation. Her Eclipse Select Club in Chicago travels and faces some of the country's best competition. Brockmeier also learned plenty when she attended the national select camp in Oregon with more than 70 age-group players also recognized for their skills and talents. CHICAGO -- University of Wisconsin senior goalkeeper and Eclipse Select alumna Michele Dalton (Mount Prospect, Ill./John Hersey) was named co-Big Ten Defensive Player of the Week on Monday following her nine-save 2-0 shutout victory over Indiana on Sunday at McClimon Soccer Complex in Madison, Wis.
Dalton shares the honor with Illinois goalkeeper Steph Manozzo. Dalton's efforts helped the Badgers clinch a spot in the 2011 Big Ten Tournament. The big highlight for Dalton came in the 58th minute when she stopped an Orianica Velasquez penalty kick to maintain the clean sheet. "She believes she is going to make a difference in the game," Wisconsin head coach Paula Wilkins said. "She made it in the first half with the save toward the near post and she did it on the PK to keep the game at 1-0. Give huge credit to a senior who feels desperate at the end of the season and wants to make an impression." The Houston Dynamo thought that Dominic Oduro was so much of a liability after missing a sitter in the season opener that they immediately cast him off to the Chicago Fire, trading him for Calen Carr. 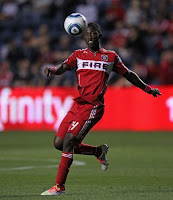 Houston's misstep was Chicago's offensive answer, particularly in the final two thirds of the season, as Oduro received ESPN Chicago's vote for being the team's most valuable player in 2011. Oduro netted 12 goals, becoming the first Fire player since Damani Ralph in 2004 to reach double-digit tallies in a season. That number more than doubled Oduro's previous-best five goals in 2008 with FC Dallas and last year with the Dynamo. And that goal production tied him for fifth among the league leaders. Should Klopas stay on as Fire coach? BRIDGEVIEW, Ill. -- The Chicago Fire have not exactly established continuity with their head coach over the past five seasons. Five different coaches have been at the helm since the start of the 2007 season. With the Fire's 2011 season in the books, the focus once again turns toward the sidelines, where Fire technical director and interim head coach Frank Klopas posted an 8-5-10 record after replacing Carlos de los Cobos. Chicago missed the playoffs for a second straight season, but the team rebounded in the final third of the campaign to climb close to the postseason picture. So will Fire management remove the interim tag and keep Klopas as the head coach? Will he focus squarely on the technical side while the organization once again goes through the routine of an extensive coaching search? Fire personnel certainly feel that the right person for the job already is in place with Klopas. "There's nobody else who should be in that position," Fire defender Cory Gibbs said. "I don't say that just as a player when I speak the truth. I think he interacts with the team well. And he has a lot of heart and a lot of passion. He gets us ready for games. What more do you want from a coach? We're the ones playing, and we just have to follow his guidance and go out there." BRIDGEVIEW, Ill. -- The Chicago Fire wanted to end their season on a high note, and they did so by reaching the .500 mark for the first time since April 9. Fire forward Diego Chaves scored his second game-winning goal in as many games and Fire defender Jalil Anibaba had two goals as Chicago topped the Columbus Crew, 3-2, on Saturday in front of a sellout crowd of 20,237 at Toyota Park. The Fire completed the season with 9-9-16 mark (43 points), but Chicago missed the postseason for a second straight year and the third time in the team's 14-season history. "Obviously we're disappointed not to be in the playoffs because that was our goal from the beginning," Klopas said. "But I feel very good at this point of the season where we are as a team. There's a lot to build from this." As the Fire move into next season, the first major question is whether they will remove Klopas' interim tag and have him continue as the team's head coach. "In the next couple weeks we're going to sit down as an organization and make the best decision going forward for the Fire," Klopas said. "But I've enjoyed every single second of my professional job, especially what I did now as the interim coach. I really enjoyed it with this group, because I've always believed in this group." BRIDGEVIEW, Ill. -- The Chicago Fire's postseason hopes were erased Thursday night with the New York Red Bulls clinching the final playoff spot. But that does not mean there is little value to the Fire's home finale when they host the Columbus Crew. Chicago (8-9-16, 40 points) has come a long way during the second half of the season to even be a part of the postseason dialogue over the past several weeks. So the Fire would like to maintain that trend with one final positive result heading into 2012. "The most important thing, and our focus, has to be on making sure we finish the season strong," Fire interim head coach Frank Klopas said. "We're playing at home against a very good team -- a big rival of ours. It's just important to continue to be building and getting better every game." "I feel like we're playing for something," Fire forward Patrick Nyarko said. "We're playing for three points, playing for a win, playing for our fans who have been with us all year through torrid times." CHICAGO -- The Eclipse Select Soccer Club recently held its 2011 Eclipse Select College Showcase, with more than 40 collegiate programs in attendance in Oak Brook. Headed by Eclipse Select President Rory Dames and Eclipse Select Director of Soccer Mike Nesci, the showcase provides college recruiters with an opportunity to see the club's top-level soccer talent. This year's showcase attracted a number of programs, including defending NCAA champion Notre Dame and head coach Randy Waldrum. "Over the years we've had a really good relationship with Rory and Mike at Eclipse, and I think it's probably fair to say that around the country they do as good a job as any club in the country," Waldrum said. "They're certainly one of the reasons why we recruit their club so heavily. We know that when we get one of their kids, they will be ready to play right away. They do a good job developing talent, and to be mentally ready. Only a few clubs do that. A lot of times players out of the youth system need some time to develop to a top program like ours. It seems like they're veterans from the get-go." The Chicago Fire were eliminated from postseason contention on Thursday when the New York Red Bulls defeated the Philadelphia Union, 1-0, at Red Bull Arena. Though the official ruling was an own goal by Union goalkeeper Faryd Mondragon in the eighth minute, it was the Red Bulls' Dane Richards who put his header on frame to lead to the game's only goal. The 5-foot-7 Richards was unmarked by the Union defense in the box, and his header bounced off the post, hit Mondragon in the back when he was sprawled out on the pitch, and the ball crossed the goal line for an early 1-0 Red Bulls lead. New York (10-8-16, 46 points) clinches the final postseason spot, eliminating both the Fire (8-9-16, 40 points) and the expansion Portland Timbers (11-14-8, 41 points). Chicago will wrap up its 2011 season on Saturday when it hosts the Columbus Crew at Toyota Park. It doesn’t take much to realize the importance of this weekend’s ECNL matches between Michigan Hawks and Eclipse Select. At the U18 level, it’s a battle between the first-place Hawks and the second-place Eclipse. For the U17s, it’s last year’s US Youth Soccer Region II Champion against last year’s best ECNL record. At U16, it’s a chance for two squads to prove themselves against a rival club. And at U15, Eclipse sits in second place with the Hawks right behind them. From top to bottom, at every age level, this weekend’s matches will have significant implications on the Midwest Conference standings. BRIDGEVIEW, Ill. -- Chicago Fire midfielder Sebastian Grazzini's hamstring problems continue to persist. Heading into the Fire's home finale against the Columbus Crew on Saturday at Toyota Park, Grazzini's status could change day by day. Grazzini netted a stoppage-time equalizer during the Fire's dramatic 2-1 come-from-behind win over D.C. United on Saturday. But on Wednesday he cut his training short because of the left hamstring injury that has plagued him off and on for nearly a month. "He was out here earlier running, jogging, but when he tries to open up a little bit, he still feels it," Fire interim head coach Frank Klopas said following Wednesday's training. "We'll see how he feels. He's day-to-day." CHICAGO -- Eclipse Select Soccer Club U-17 midfielder Jenna Miller did not need another year to make her collegiate decision. 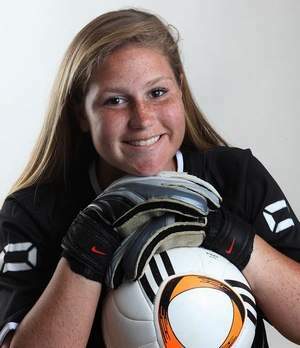 Miller, a native of Winnetka, Ill., and a junior at New Trier High School, has announced her verbal commitment to play for the University of Illinois women's soccer program beginning in 2013. "Both of my parents went there and it was always one of my top two schools," Miller said. "They showed interest in me, and it feels so nice to be able to get to the next level. That's been a goal of mine for the seven and a half years I've been with Eclipse Select. It's nice to know that a soccer team wants me to play there." Miller will be joining an Illini program that currently is second in this season's Big Ten Conference standings and is led by long-time head coach Janet Rayfield. Not only has Rayfield achieved success at the college ranks, but she has served with the U.S. Women's National Team coaching staff, most recently assisting during the U.S.'s memorable 2011 FIFA Women's World Cup runner-up showing. "She's really personable and easy to talk to," Miller said of Rayfield. 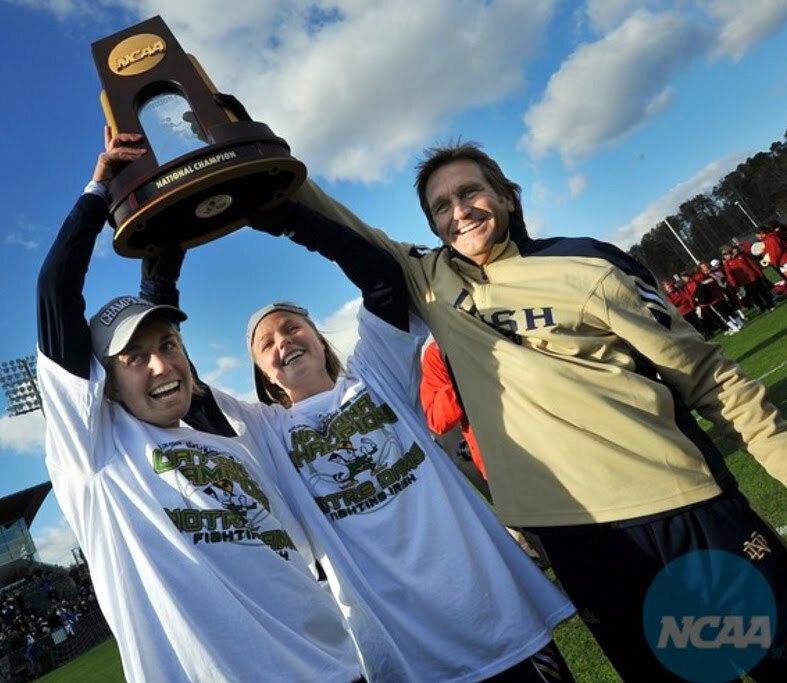 "She laid it out there and said, 'what do you want with a soccer program?' Her practices and everything are so competitive. She will play whoever is on the top of their game, no matter the age. She doesn't stick to seniors and plays whoever competes." CHICAGO -- Eclipse Select Soccer Club alumna and junior forward Brittney Pavlica (Kenosha, Wis./Mary Bradford High School) netted a pair of game-winning goals and was named Mid-American Conference Offensive Player of the Week. Pavlica shares this week's honor with Miami Ohio forward Katy Dolesh. On Friday, Pavlica scored the lone goal during the Broncos' 1-0 victory over Central Michigan, handing the Chippewas their first MAC loss of the season. In the 33rd minute, Pavlica took advantage of a misplayed free kick by Central Michigan, got to the ball and flicked it over the goalkeeper and into the back of the net. On Saturday, Pavlica netted the game-winner with only 1:52 remaining in double overtime to edge Eastern Michigan, 1-0. Pavlica has four goals on the season, and all four happen to be game-winning tallies. The turn of events during the Chicago Fire's comeback win over D.C. United on Saturday brought out a supreme sense of adulation on one end, and dismay and shock on the other side. Major League Soccer must be loving the way things have turned out heading into the final week of the regular season. Combine the Fire's late heroics and the New York Red Bulls' loss to Sporting Kansas City on Saturday, and the league now has a scenario where four teams still have a mathematical hope for the final wild card spot. "It's never over until it's over," Fire interim head coach Frank Klopas said after Saturday's 2-1 win over D.C. "We pushed it and brought a couple subs in that had an impact on the game. I think in the end, some special players made special plays, and when we had the chances we finished them." Fire net dramatic win over D.C. The elements were not in the Chicago Fire's favor. They had three suspended starters. They were playing on the road. They were playing down a goal heading into stoppage time. And anything less than a win would have officially spelled the end to Chicago's small, but lingering, playoff hopes. Fire midfielder Sebastian Grazzini tallied an equalizer and second-half sub Diego Chaves netted the winner three minutes into stoppage time as Chicago posted a miraculous 2-1 come-from-behind victory over D.C. United on Saturday at RFK Stadium. "It was an incredible five minutes, first for D.C. and then finally for us," Chaves said. "It was really, really intense." Chaves' goal was his first since April 23, when the Fire played to a 1-1 draw against the Houston Dynamo. Chaves tallied four goals in the Fire's first six games to lead the team at the time, but he got out of his scoring funk at the right time as defender Gonzalo Segares assisted the game-winner. "He was at the right place at the right time, and I'm glad he was there," Segares said of Chaves. "He's been working hard for a long time and I'm just happy that he got that goal. I'm sure that's going to motivate him." BRIDGEVIEW, Ill. -- Now that the playoffs are more or less out of the picture, the Chicago Fire are simply looking to finish out their final two matches on a positive note. But the Fire (7-9-16, 37 points) will be dramatically shorthanded when they face Eastern Conference foe D.C. United on Saturday at RFK Stadium. Defenders Dan Gargan and Cory Gibbs are suspended because of yellow card accumulation, and midfielder Pavel Pardo is out because of a straight red card from Wednesday's 2-1 home loss to FC Dallas. "We have to finish strong," Fire interim head coach Frank Klopas said. "Every time we have an opportunity to step on the field and train or play, it's all about improving as a team. We don't believe in excuses." "We need to regroup and go over there in D.C. and look for the win," Fire defender Gonzalo Segares said. "[The Dallas loss is] definitely a big blow for us. We've been pushing really hard these past couple of months during the late run and it got us pretty close to being in the position in which we could have been fighting for the playoffs. But with the result [Wednesday], it's just really tough to swallow. We've got two more games to play and like every other game we've got to go out there and get a win." Six Eclipse Select players invited to U.S. Club Soccer id2 Camp in N.J.
CHICAGO -- Six players from the Eclipse Select Soccer Club have been invited to participate in this weekend's U.S. Club Soccer id2 Camp this weekend in New Jersey. Eclipse Select U-15 midfielder Ann Marie Niro (Barrington, Ill.), and from the U-14s Eclipse Select midfielder Marissa Bosco (St. Charles, Ill.), forward Alissa Gorzak (Naperville, Ill.), midfielder Mikaela Niermann (Geneva, Ill.), forward Zoe Redei (Highland Park, Ill.) and midfielder Cassie Rohan (Palatine, Ill.) are all taking part in an id2 Program Training Camp, which started on Thursday and runs through Sunday at the PDA Soccer Complex in Zarephath, N.J., for 1997-98 girls. BRIDGEVIEW, Ill. -- Two games remain for the Chicago Fire, but midfielder Pavel Pardo will be limited to Chicago's home finale on Oct. 22 against the Columbus Crew. Pardo picked up a red card during the Fire's 2-1 loss to FC Dallas on Wednesday and is suspended for Saturday's match at D.C. United. Pardo signed a six-month contract for the Fire, and on Wednesday he expressed his desire to stick with the organization for the long-term. "Of course I'd like to come back," Pardo said. "I was talking about this situation with the people from the Fire, and they want me to be here for the next year. And I want to be here, but not for one year. I'd like to be here for more years. I've integrated with this team, the club and the fans. 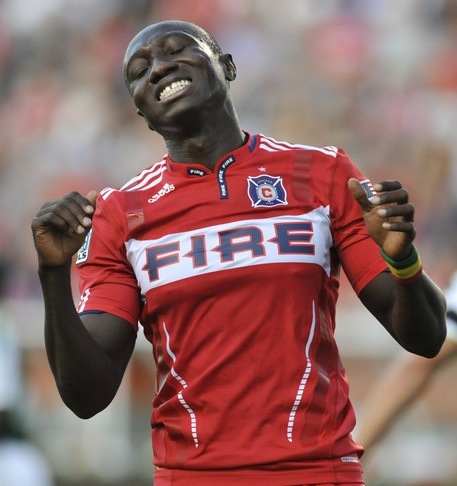 I'm very happy playing for the Chicago Fire." BRIDGEVIEW, Ill. -- The Chicago Fire missed out on the Brimstone Cup yet again. But even worse, their postseason hopes virtually have been eliminated. Sebastian Grazzini's late goal for the Fire was all Chicago could muster as FC Dallas gained a two-goal lead and held on for a 2-1 victory on Wednesday in front of 10,362 at Toyota Park. Dallas' Jackson and Daniel Cruz netted goals as the team retained the Brimstone Cup, which has been in its possession since 2002. The Fire (7-9-16, 37 points) still are mathematically in the playoff picture, but they would need to win out, a couple of teams would need to lose out and Chicago would have to make a jump in goal differential. Dallas (14-11-7, 49 points) was in control for the entire match, creating its share of scoring chances, while minimizing the Fire's attack. Chicago did not register a shot on goal during the first half, while Dallas lingered around the goal for many stretches, especially in the first 45 minutes. "We were flat from the beginning," Fire interim head coach Frank Klopas said. "We weren't sharp. We were just a step behind everything. Give credit to Dallas. They came out and made it difficult for us." The following story features Eclipse Select players Christian Meyer and Mitchell Meyer. For the Meyer brothers of Clarendon Hills, sometimes watching the Fox Soccer Channel and playing soccer video games isn’t enough. Brothers Will, Christian and Mitchell are planning a return trip to England later this year to see an English Premier League game involving Fulham at Chelsea. Christian and his brothers became Fulham fans while following American soccer players abroad and the brothers already saw a game last spring at Fulham. The brothers will travel with their father, Keith, who also watches NFL games and is a fan of the St. Louis Cardinals. But with three boys currently playing in the Devils program, soccer is No. 1 with the Meyer clan. The start of the playoffs next week means opportunities are dwindling to see both Will and Christian on the field at the same time. Will, a senior, is the starting goalkeeper for the Red Devils while Mitchell, the twin brother of Christian, is the starting keeper for the sophomore team. CHICAGO -- Eclipse Select Soccer Club alumna and University of Wisconsin senior goalkeeper Michele Dalton (Mount Prospect, Ill./John Hersey High School) was named the Big Ten Conference Defensive Player of the Week on Monday. Dalton recorded a season-high 11 saves during Wisconsin's 2-0 victory over Nebraska on Friday in Lincoln, Neb. She also earned her fifth shutout of the season. "It was probably one of the best goalkeeper performances I've seen in my career," Wisconsin head coach Paula Wilkins said after Friday's match. "She made a big difference because they were very good at creating some opportunities, and she really helped us keep a clean sheet." For more Eclipse Select alumni updates, including Illinois Wesleyan junior Kyle Gorgol's two-goal performance, Texas junior goalkeeper Alexa Gaul's 17th career shutout and more, visit www.EclipseSelect.org. BRIDGEVIEW, Ill. -- Chicago Fire interim head coach Frank Klopas was been cautious from the get-go when the team brought in midfielder Sebastian Grazzini. Klopas limited Grazzini's minutes at the start to integrate him with the team by midseason. But even still, Grazzini has endured setbacks -- the latest being a hamstring injury that kept him out of a 1-1 draw against the Houston Dynamo on Oct. 1 and limited him to the final minutes of Chicago's 2-0 loss to Seattle Sounders FC in the Lamar Hunt U.S. Open Cup on Tuesday. "We pushed him the day before [the Open Cup], I talked to him and he said, 'Coach, I think I can give you 10 minutes,'" Klopas said. "My thought was, at that point, if we get to the second overtime to put him in and have him ready to take a PK, because he's one of our guys who's very good on dead balls. "I want to put the guy on the field more than anything because he's a special player," Klopas said. "But you've also got to respect what the guy says, how he feels and the injury." The Chicago Fire spent a large portion of Tuesday's Lamar Hunt U.S. Open Cup simply attempting to endure Seattle Sounders FC's frequent attacks and possession. It was only a matter of time before the Sounders would strike, and Fredy Montero provided the winner in the 77th minute to lead Seattle to a 2-0 win over the Fire in front of an Open Cup-record crowd of 35,615 at CenturyLink Field in Seattle. 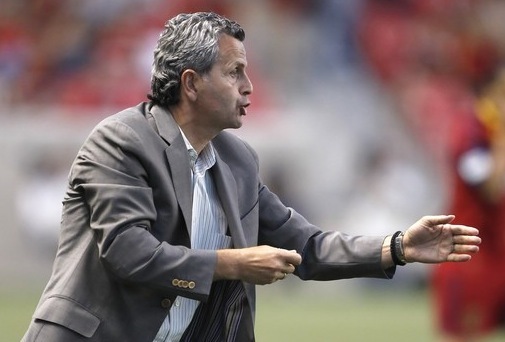 "I just think we never got [in] rhythm," Fire interim head coach Frank Klopas said. "We had a little bit of a momentum change in the first half, then it just seemed that we didn't get that back. And our frontrunners didn't seem to work well off each other." Osvaldo Alonso added a goal five minutes into second-half stoppage time as Seattle won its third straight Open Cup. Chicago fell to 4-2 in Open Cup finals, also dropping the 2004 title match to the Kansas City Wizards, while winning the 1998, 2000, 2003 and 2006 Open Cups. CHICAGO -- Eclipse Select Soccer Club alumna and University of Pennsylvania freshman Megan York (Chicago, Ill./St. Ignatius) was named Ivy League Rookie of the Week in women's soccer after posted two goals during Sunday's 3-0 win over St. Francis (Pa.). York headed in the first goal in the 23rd minute off of a Theresa Yankovich corner kick, then added an unassisted goal in the 86th minute on a rebound. York now has four goals on the season, which ranks second on the team. For other Eclipse Select alumni accomplishments from the past week, visit www.EclipseSelect.org. 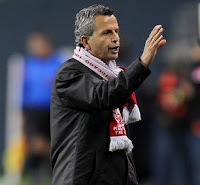 Chicago Fire interim head coach Frank Klopas will be a part of the Lamar Hunt U.S. Open Cup in a different light this Tuesday when his Fire take on two-time defending champion Seattle Sounders FC at CenturyLink Field. Klopas capped off the Fire's inaugural 1998 MLS season with the game-winning goal during Chicago's Open Cup win over the Columbus Crew. Now Klopas will be on the sidelines, where Sounders head coach Sigi Schmid on Monday made a ringing endorsement, saying that "Frank has to have a conversation with his boss, his technical director, who I think is also named Frank, and get that 'interim' removed from his title." Klopas' '98 game-winner against the Crew was a banner moment in a banner season. But if the 2011 Fire manage to unseat Seattle in front of its home faithful of 30,000-plus, Klopas said that as a coach it would carry more enjoyment than the '98 Open Cup team. "If we were to win this, I think the feeling would be different," Klopas said. "It would probably be better to be able to do it also from this side because I know what these players go through every day, their commitment, and the focus. And I think it would be a great feeling to be on this side. It would be a better moment than doing it as a player. It's hard to say. I know it would be different for me. I would enjoy it more." Read more at ESPNChicago.com. Also, CLICK HERE for a breakdown of the Fire's and Sounders' previous Open Cups. Fire interim head coach Frank Klopas certainly was not conceding Saturday's game against the Houston Dynamo. 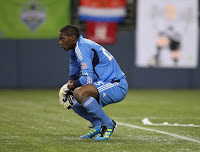 But with Tuesday's Lamar Hunt U.S. Open Cup at Seattle Sounders FC and a recent 3-0 win at Real Salt Lake three days prior, Klopas decided to put several of Chicago's key cogs on the bench to start out. One regular starter who got the call to start Saturday was Fire forward Dominic Oduro. 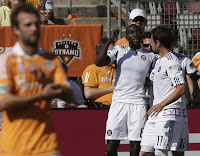 Oduro netted a first-half goal against his former Dynamo team as Chicago rallied from a deficit to draw Houston, 1-1, at Robertson Stadium. Oduro was traded to Chicago for Calen Carr at the start of the season after missing a sitter during the Dynamo's opening match. Now, Oduro is leading the Fire with 12 goals and is in the running for the league's Golden Boot. 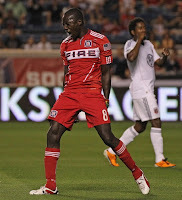 "It was good to be back in Houston," Oduro said. "Playing on the other side was a little bit different. At the end of the day, I think the fans appreciated me playing for them and I thank them." Oduro's day was cut short as he limped off the field with an ankle injury and was replaced by Patrick Nyarko in the 51st minute for precautionary reasons. "It was just a little bit sore when I made contact in the box," Oduro said. "I should be OK for Tuesday."